Nicholas R. Parrillo, Federal Agency Guidance and the Power to Bind: An Empirical Study of Agencies and Industries, 36 Yale J. on Reg. 165 (2019). Legal scholars know, of course, that quite a lot of the scholarship they collectively produce is of use to practitioners, courts, and legislators. Simultaneously, however, legal scholars must, and I think do, acknowledge that not all legal scholarship is useful or of interest to nonacademic readers. Legal scholars sit at the sometimes-awkward intersection of a larger academic community and the practicing bar, each with its own goals, values, norms, and needs. The fact that some legal scholarship appeals more to the former than the latter audience merely reflects that reality and does not diminish its value. Nevertheless, it is in our own interest as legal scholars to counter the narrative promoted by Chief Justice Roberts and others by calling attention to legal scholarship that may be of use to the more practical of our two audiences, even while it appeals to the more academic as well. Nick Parrillo’s groundbreaking work on federal agency guidance is an exemplar of this kind of legal scholarship. As administrative law scholars know, federal agencies routinely issue informal pronouncements articulating their views regarding what the law requires of regulated parties. These informal pronouncements carry many distinct labels—to quote Parrillo, “advisories, circulars, bulletins, memos, interpretive letters, enforcement manuals, fact sheets, FAQs, highlights, you name it.” (P. 167.) Administrative Law experts commonly refer to such informal pronouncements collectively, irrespective of label or category, as “guidance.” In the parlance of the Administrative Procedure Act, guidance is categorized as either interpretative rules or general statements of policy (aka policy statements). As such, guidance is exempt from notice-and-comment procedures designed to facilitate public participation and transparency, and generally is understood to be nonbinding. Nevertheless, prudent regulated parties pay close attention to guidance as indicative of agency thinking. And regulated parties commonly complain that agencies apply guidance inflexibly, so that it is practically if not legally binding. Agency use—and arguable abuse—of guidance to direct regulated party behavior is a perennial topic of discussion and concern among administrative law scholars, courts, legislators, and practicing lawyers. As Parrillo notes in his article, however, the scholarly literature on guidance has focused on doctrinal and theoretical approaches to distinguishing between legislative rules that must be adopted using notice-and-comment rulemaking procedures and guidance that is exempt from those procedures. Much has been assumed about how agencies and regulated parties think about and utilize guidance. Parrillo’s article fills this void. Parrillo’s article grew from work that he performed initially on behalf of the Administrative Conference of the United States, or ACUS. Specifically, Parrillo interviewed 135 individuals working in government, industry, and nonprofit organizations across eight different regulatory fields, seeking to assess the role of guidance in the day-to-day decision-making and operations of agencies and regulated parties. The initial result of the study was a 200-page report for ACUS, rich and thorough in its detail, and a set of recommendations for agency use of policy statements that ACUS adopted and published in the Federal Register in 2017. ACUS recommendations are deliberately nondoctrinal, avoid making definitive legal conclusions, and are couched in terms designed to persuade agencies to adopt them. Although Parrillo’s ACUS report and his article overlap considerably, the article format offers more latitude for academic reflection. Parrillo’s article finds that regulated parties have a legitimate basis for complaining that even nonbinding guidance really is more binding than not. Regulated parties often, though not always, face tremendous pressure to comply with guidance. Agencies often, though not always, exacerbate the difficulty by applying guidance inflexibly. Regulated parties routinely find themselves in a position of needing to adhere to guidance—and not just to avoid becoming the target of an agency enforcement action, although enforcement is an obvious concern. For example, many regulated parties must pursue agency pre-approval processes to obtain permits, licenses, certifications, and the like. Complaining about or failing to adhere to agency guidance can result in delays, if not outright denials. Also, regulated parties are repeat players before agencies, meaning that they must maintain good working relationships with agency officials that might be undermined by complaining about or failing to adhere to agency guidance. 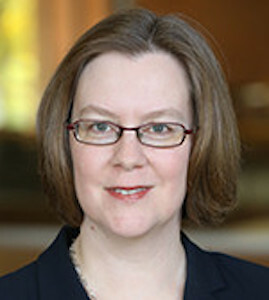 For some regulated parties, the perceived need to maintain good working relationships with agency officials in turn prompts internal regulatory affairs employees to push for compliance with guidance, even where a good case may be made at law that a particular guidance document exceeds the agency’s authority. In turn, agency officials are often inflexible rather than open-minded in their application of guidance. Parrillo rejects, however, the common conventional wisdom that agencies just want to bind regulated parties while avoiding the hard work and inconvenience of notice-and-comment procedures. Instead, he observes, agency inflexibility more often comes from demands by regulated parties, Congress, the courts, and nearly everyone else demands that agencies act consistently. Departures from guidance may be seen as ad hoc and unprincipled, contrary to statutory and political expectations that agencies not act arbitrarily or capriciously. In other words, the same parties that complain about agency inflexibility impose demands that make such inflexibility more likely. For all of the above, Parrillo suggests that agencies pursue what he labels principled flexibility—meaning “that agency officials make departures from guidance, but for each departure, they give a written explanation that is accessible to other agency officials and to regulated parties, with the understanding that the exception thereby becomes generally applicable to like facts going forward.” (P. 241.) The result, he contends, would be “a body of rationally evolving precedent that informs future decisions about departure requests.” Parrillo acknowledges that this suggestion faces its own obstacles. Evaluating and documenting principled departures from guidance is more time consuming and expensive than simply applying guidance inflexibly. Regulated parties seeking pre-approval may prefer speed over flexibility, and thus may resent bearing the burdens of principled flexibility. Additionally, Parrillo recognizes that some inflexibility may simply be due to genuine faith by agency officials that the guidance in question is simply right. In such instances, Parrillo suggests that such cases represent “the archetypal scenario calling for legislative rulemaking.” (P. 262.) He encourages agencies to resist this sort of inflexibility and expend the resources necessary to pursue a policy of principled flexibility with respect to guidance. Parrillo’s article, and the ACUS report from which it draws, are too full of interesting and useful observations to do justice in this short review. Together, they will provide a useful resource for anyone interested in the topic of agency guidance for years to come. His observations are not only insightful but balanced—reminding those of us working in this administrative law and regulatory space that there is more than enough “blame” to go around for the deficiencies of the status quo. Meanwhile, Parrillo’s proposal for a principled flexibility is eminently sensible as well as doctrinally sound. One can only hope that agencies take up his suggestion, and if they do, that regulated parties do not shortsightedly thwart such efforts. Cite as: Kristin Hickman, In Praise of Practical Scholarship, JOTWELL (April 2, 2019) (reviewing Nicholas R. Parrillo, Federal Agency Guidance and the Power to Bind: An Empirical Study of Agencies and Industries, 36 Yale J. on Reg. 165 (2019)), https://adlaw.jotwell.com/in-praise-of-practical-scholarship/.